The Linnaeus’s Two-toed Sloth, also known as the Southern Two-toed sloth, takes its name from the two curved claws at the end of each limb. 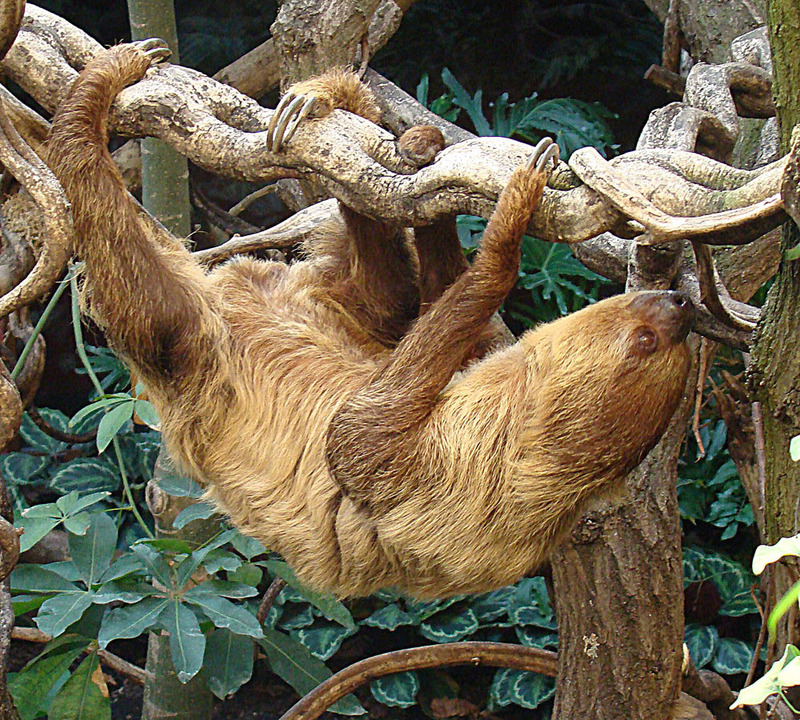 Like all living sloths, these creatures spend much of their time hanging from trees, supporting themselves with large hairless pads on the feet and a highly adapted bone and muscle structure. Even dead sloths are known to retain their hold under a branch. Their hair parts from the stomach downwards to their back, allowing water to run off in rainstorms, and its natural tan colour is often tinged with green from algal growth. Unique grooves in the hair facilitate this growth of algae, which helps camouflage the sloth against predators. They are large for sloths, with an average length of around 67cm. Their tails are vestigial and their vision is thought to be poor. Sloths are notoriously leisurely in all aspects of their life, moving with extreme slowness and only descending from the canopy to move from one tree to another or defecate. They are especially slow moving and vulnerable to predation on the ground, and have bladders and rectums with a very high capacity, allowing them to wait as long as a week before descending. Gestation is thought to be around ten months, but estimates vary widely, with delayed implantation of the embryo a possible factor. Birth takes place while the sloth hangs from the canopy and the infant sloth has to climb immediately onto its mother’s stomach. The diet of the Linnaeus’s Two-toed Sloth is not well recorded. Its habits are nocturnal and solitary, and it spends most of its life motionless in the high canopy of the forest. The Linnaeus’s Two-toed Sloth lives from sea level up to around 2,400m, in tropical and subtropical forests. Its range reaches from Venezuela and Colombia into eastern Ecuador, as far south as Peru and across to the Atlantic coasts of northern Brazil. The IUCN classes this sloth as Least Concern: there are no major threats from hunting or capture for the pet trade. 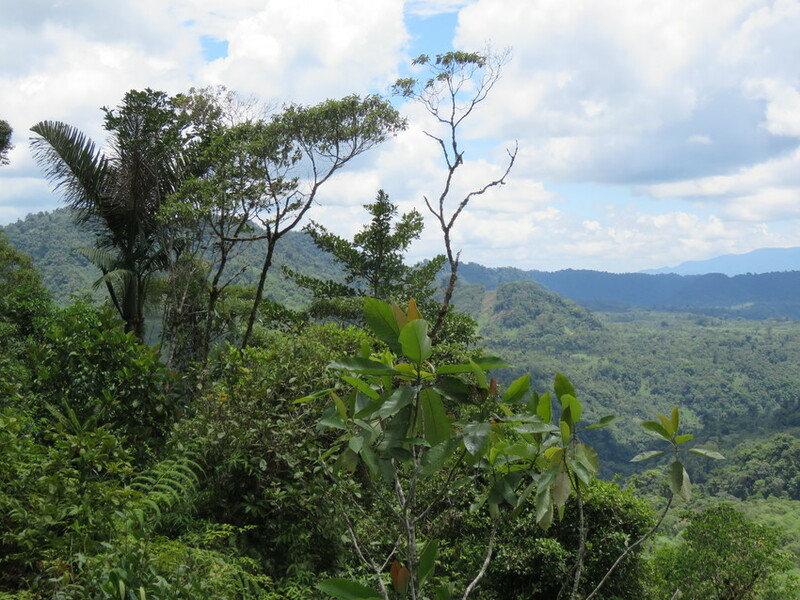 Some native groups have taboos around hunting sloths, which increases effective protection, and they are in any case hard to find in comparison with other species such as armadillos because of their usual location high in the canopy. Initial studies suggest these sloths will not use Oil Palm plantations and this is likely to become a significant threat, alongside wider habitat destruction. Adam, P. J. (1999). Choloepus didactylus. Mammalian Species, (621), 1-8.